It seems that common blue jeans can no longer satisfy people’s requirements toward fashion. For people who love to wear jeans, even in the hot summer, jeans would make you feel stuffy no matter how loose this pair of blue jeans is. 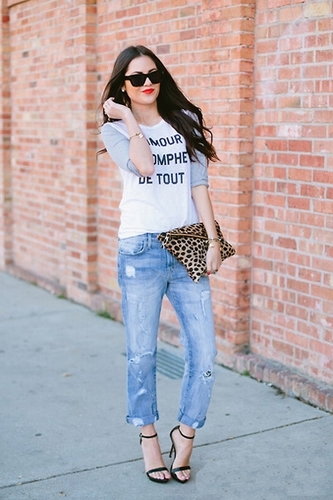 Therefore, there is no doubt that vintage hole denim jeans will be your best choice. To make your skin breathe freely is of great significance and this kind of jeans showing you the beggar style is particular cool for you to wear. The popularity of jeans has gone through several periods, from the original basic wearing for workers to comfortable wearing with light and fitting character. According to needs of fashion, beaded, embroidered and other handcraft decorations are applied in making jeans. When it comes to people’s views at the first time in the middle of the last century, they gain lots of young people’s attentions and favors. For a time, hole denim jeans have become the symbolization of fashion masters. At the very beginning, these hole jeans are invented by Americans. They are not used for people to show off fashion appearance, but the expression against fashion mainstream. From the time of 1960s, hippies have tried their best to grind jeans away in order to show you holes and furs. This wearing can make them look even rakish and decadent. People said that it should be regarded as the origin of rakish style fashion. 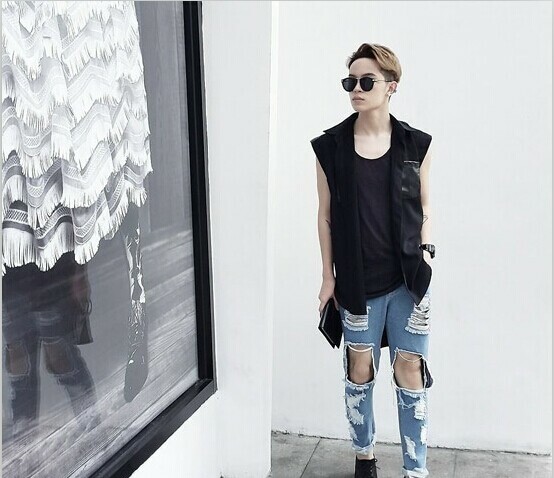 In the developing progress, from hole jeans with a little abrasion, patchwork to the large hole pattern, they are popular in the fashion stage all the time and never fade their colors. It is certain that super stars that are walking at the front of fashion all the time have more passions and favors to this rakish style.